It’s my 200th post! High fives all around! The fits and turns of vainglory, victory laps, and a giant helping of the Kanye West, egotistical entree from the narcissist’s secret menu are all mine. Yep. I just threw a singular ticker-tape across the room. Instead of looking like the by-product of revelry and conflagratory self-fandom in my home, it actually appears as if I lost my grip on a printer roll. I’d say this is a milestone. I will admit, that as May 12th brings about the one-year birthday of the blog, I should be some 350-posts deep here, in keeping with the “posting every day” doctrine I set out to accomplish in the beginning. Somehow, I lost my way on that one. But either way, it’s worth noting. I’ve managed to trot out 200 things I assumed to be noteworthy, and I am proud of most of it. I’ve had a few pessimistic turns, and I’ve had a few moments where I felt uninhibitedly inspired. And for whatever reason, I’m back in the game. And, as I continue to post, I am starting to see a direction–possibly a general focus that might tighten the lens on the blog a bit. Here’s a hint: Fishing might be a subject for a greater writing justification . . . or a narrative. But probably not an instructive site, with the exceptions of the completely foolish and aberrant need to talk about it. Yet, I have a funny novel in my head about a little fly shop in the outskirts of my county. See where this is going? I like writing. like writing about writing. I like books. I like writing about books. Furthermore, I am writing books. So the trifecta of writing about writing a book has that inexorable feel of holding a mirror up to another mirror to create the “infinite tunnel”effect. Except it’s more fun than that. So thanks of having with me. 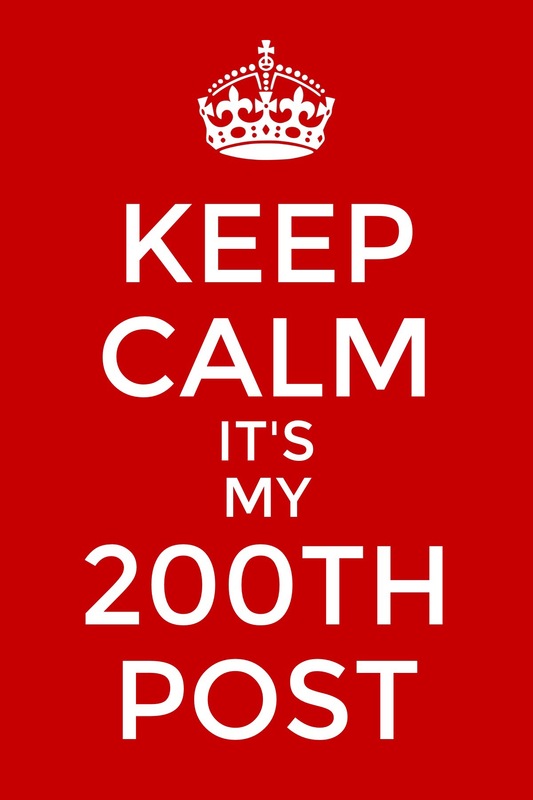 I know it feels silly to commemorate 200th post, but hey. This IS THE BLOGOSPHERE. This entry was posted in Blogging, Novel writing, Reading, Writing and tagged novel writing, writing inspiration. Bookmark the permalink. 1 Response to It’s my 200th post! High fives all around! Onward and upward my friend!